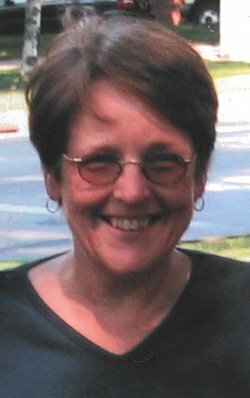 Jane W. (Munsey) Dumas passed away in her home in Fremont, OH; she was sixty-six years old. Jane was born in Fostoria, OH in 1951 and graduated from Fostoria High School in 1969. She practiced for many years as a registered nurse and earned her master’s degree in nursing from the Medical College of Ohio. She was a loving mother and grandmother she enjoyed spending her time with her five grandchildren. Jane was preceded in death by her parents, William and Esther (Covert) Munsey; brother, James Munsey and her husband, Robert Dumas. Surviving are her sister, Janet Munsey; brother, Jed Munsey; two children, Jessica (Brian) Hanover Barhorst and Luci (Jorden) Dumas Espinoza; grandchildren, Hailey, Lainey, Trey, Atticus and Merritt. Well my ole friend you are resting peacefully now. It’s been along time since we have chatted, but I know one day we will meet again and catch up. The memories I have of you are such good ones and will and have always cherished them. Janet, Jed, Lucy and Jessica, you have our deepest sympathies and prayers in loss of your Mom and Sister. May God watch over you all and bring you peace at this sad time. What a nice picture of my friend Jane. I always remembered her birthday December 8th as she was the oldest of all our friends that grew up together and enjoyed so many memories throughout our school years . . . I am sorry I lost touch with her. My deepest sympathy and prayers for Jed and the entire family for your loss. God has another angel to watch over you. Rest sweet friend. Sending love and prayers to those of us who are left. One day we will laugh together again. Classmate ’70. Jane was a great person fittingly a nurse, as I consider angels an nurses in the same breathe. GOD BLESS HER !!! Janet & family, I am so very sorry for your loss! My sincerest sympathies to you all. Jane and I had some great times together and will always remember her and the welcome I always had at her childhood home. Sorry for your loss Jess and family. Prayers for the whole family. A bit heart heavy, I send my deepest sympathy to you Janet, Jed, girls and families. The wonderful, fun and loving memories of Jane and your family have always held a special place in my heart that will remain there forever. My deepest condolences to you all during this time of bereavement. Jane was a wonderful person to work with and one of the most sincere people I’ve ever had the pleasure of knowing. May she rest eternally in peace. Words seem so empty right now. But know that God is too prefect to ever make a mistake and HE loves us more that we will ever understand. Sending sympathy to you and your loved one as you face this difficult hour. Thinking on you in prayers. Luci and Jorden, We’re so sorry to hear about your mom passing. We can recall many wonderful times when Jane and my brother were together. Call if we can help in any way. This prayer is for Jane, and all jane’s family and friends. May the Lord bless and keep you and keep you. May the Lord let His Face shrine on you and be gracious to you. May the Lord uncover His Face to you and bring you peace. Bob & I are saddened to learn of your beloved sister/mother/grandmother’s death. I hope your cherished memories of times spent with her will bring you much comfort & peace. Janet , So sorry to hear of the loss of your sister. I can still see her swinging hair and big smile coming down the hall at school. Way to young. Thoughts and prayers to you and your family.